Changing your campaign's budget can be done in a few simple steps. 1. 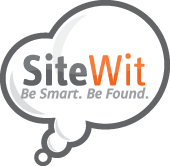 Go to the Google Marketing tab from your SiteWit tab menu. 2. Select the Manage sub tab under Google Marketing. 3. Find the Active Campaign you wish to modify the budget for. 4. Click the Set Budget button (Card Icon) underneath actions. 5. Pick the package you wish to advertise on, and confirm your monthly budget.